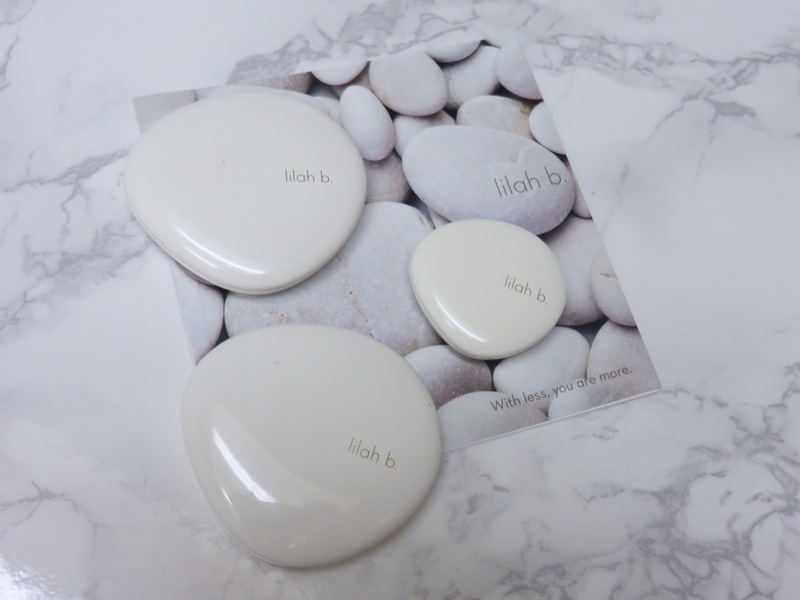 "With less, you are more" is the beautiful mantra that Lilah B. promotes. They believe in getting back to the basics, decluttering, minimizing and simplifying your makeup routine. 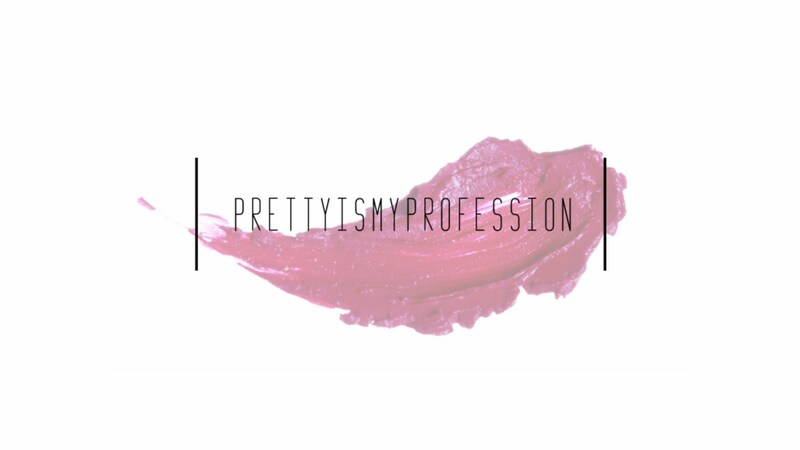 Instead of promoting buying more and more and more, like many mainstream beauty lines, they believe in buying a few basic and versatile items that can be used everyday. This is such a positive message and with the a few month into the new year, we all want to change our lives, declutter, and simplify our lives in every way possible. 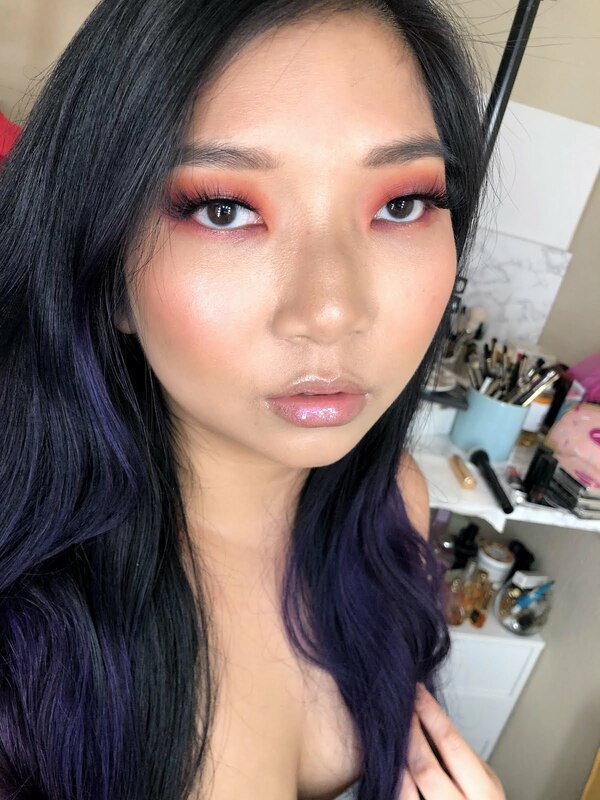 This year has definitely been a busy one already for me so, I have been relying on a dependable makeup routine for most days. This set was actually sent to me as a Instagram giveaway prize for the holidays. I was very fortunate enough to win this fabulous customizable set! 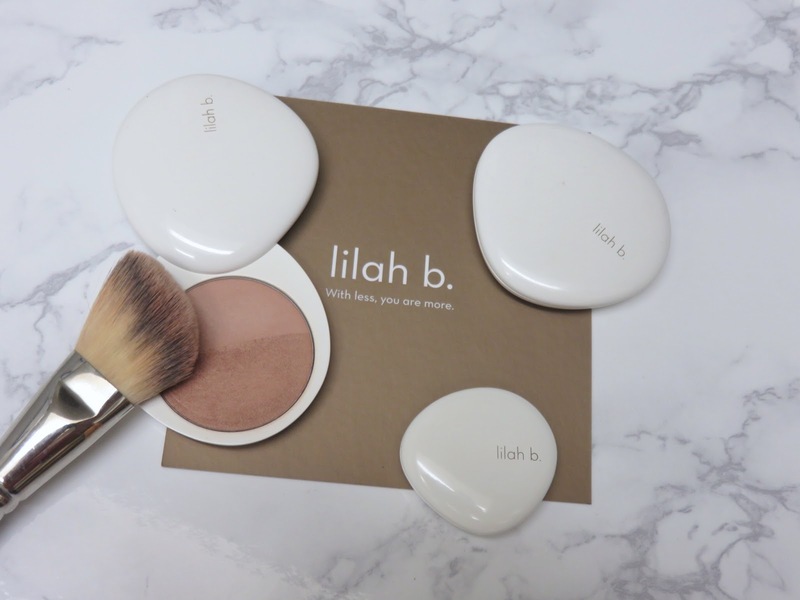 Lilah B. offers a build your own kit that includes 3 items from the line, of your choice, and a beautiful white vegan makeup bag. 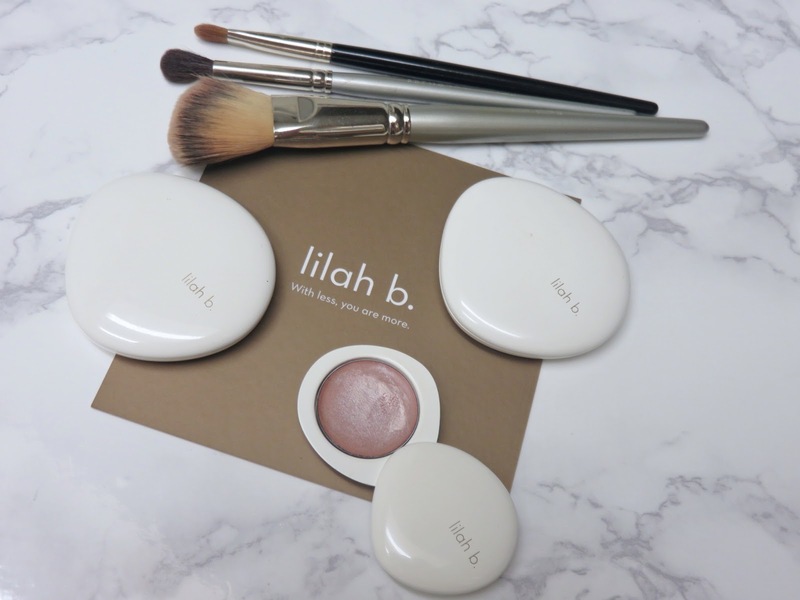 The Lilah B. line is very simple and classic, no gimmicky products or trendy textures that may go out of style next month. Before I go into the line some more, I wanted to highlight the small details that show they care and that adds so much to the luxurious experience of receiving and unboxing your products. Their shipping packaging is very beautiful and helps so much with presentation of their products. 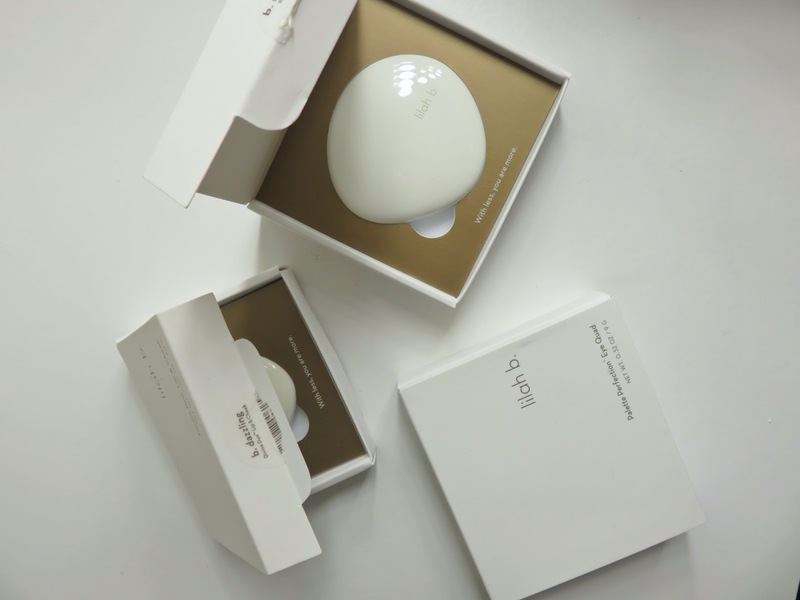 The exterior product packaging is also so well put together and offers a luxurious unboxing experience. 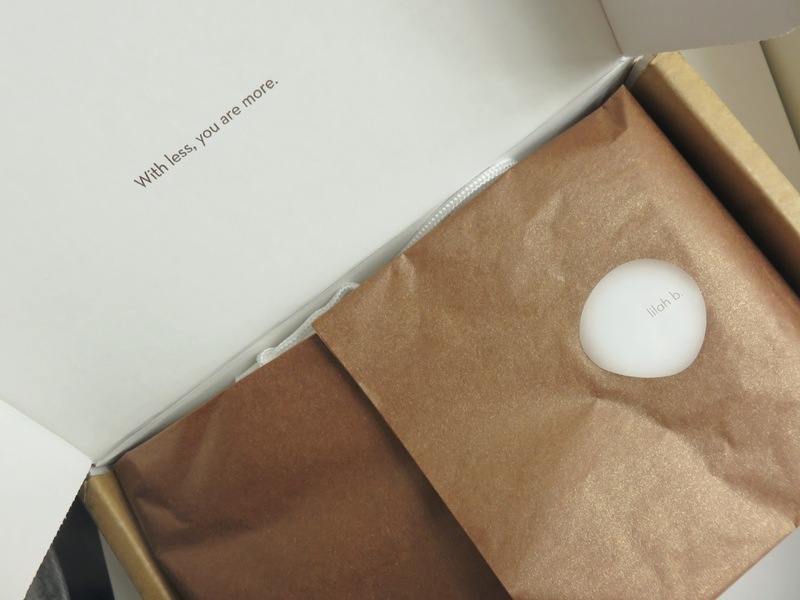 The whole experience seems very well thought out and the products feel s well protected by the packaging. Lilah B. 's founder, Cheryl Yanotti Foland, wanted her line to have luxurious but sturdy packaging worthy of the price and she succeeded! The polished stone shaped compacts are made of a heavy metal that feel so luxurious and significant in your hands. The only compact that I own that is even remotely close to the heaviness of these is my Guerlain Meteorites Voyage Compact, which retails for $179.00 USD! That's triple the price of the most expensive item in Lilah b. 's line! These very sleek and compact cases swivel open revealing the product. They look so chic and suit the brand's message and aesthetic so well! There is something very zen and peaceful about their packaging. My only complaint, and it is a very small one, is that there are no mirrors in the compacts. 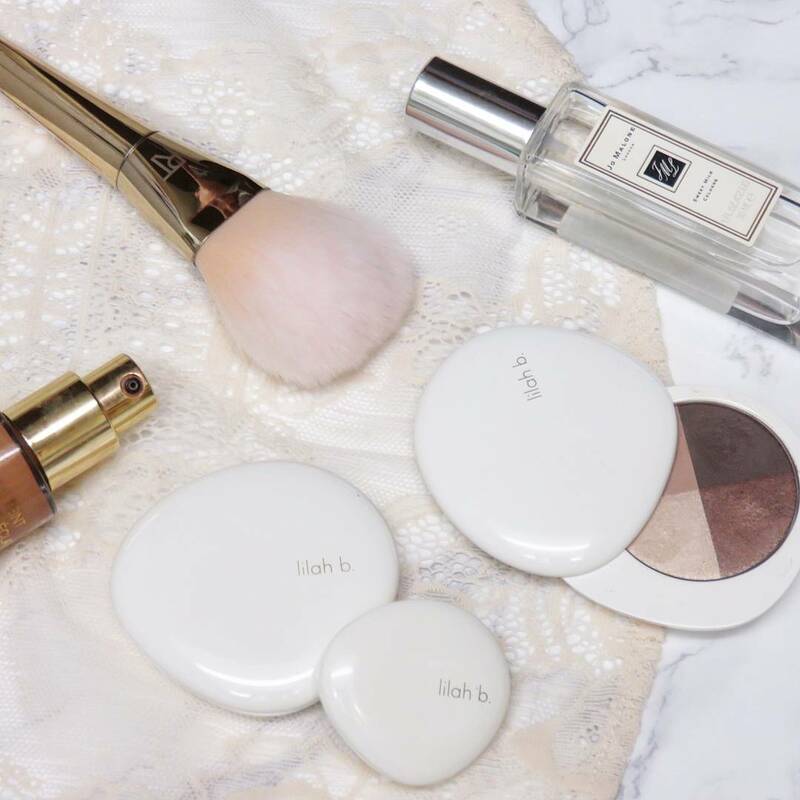 The brand feels like a very "girl-on-the-go" kind of brand but the lack of mirrors makes it difficult to do your makeup on the go. This is pretty insignificant, as I believe, many of us already carry compacts with mirrors in our bags. The additional makeup bag included with this set is very luxurious, as well! 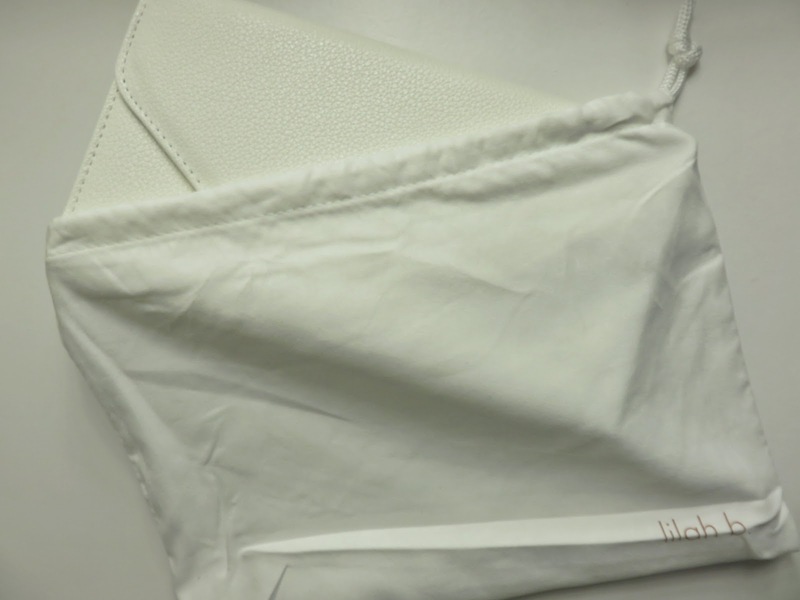 It is a very chic and classic white clutch with a magnetic closure. The material feels very luxurious and is vegan. The size is very reasonable to put in your handbag or use as a clutch! It is a really chic bag and I expect to be using it often. The three products I chose were the Palette Perfection Eye Quad in B.stunning, the Bronzed Beauty Bronzer Duo, and the Divine Duo in b.dazzling. 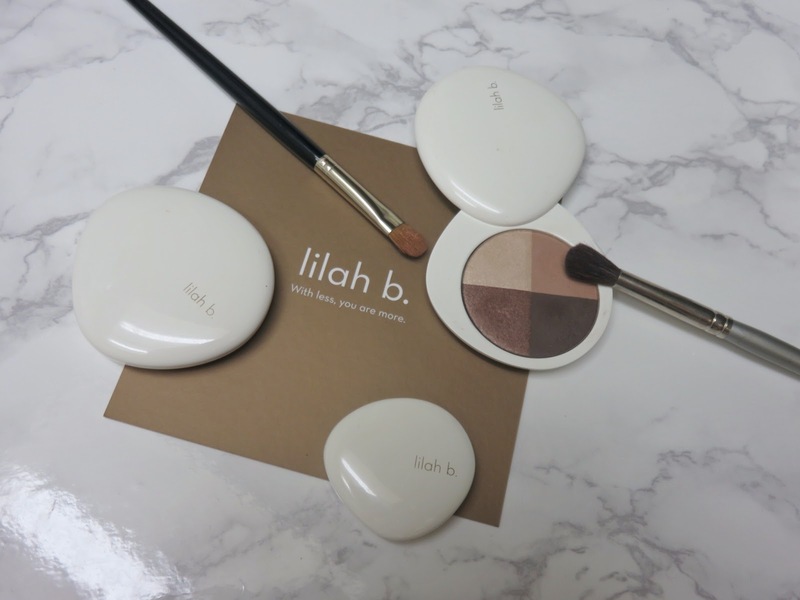 The Palette Perfection Eye Quad in B.stunning retails for $58.00 USD and is available on the Lilah B. Website, Barneys, Net-A-Porter, SpaceNK, and other retailers. Their palettes can be used wet or dry and have a very smooth texture. The pigment is buildable which makes the shadows very easy to work with. The finished look can range from a simple polished eye to a glamorous deep smokey eye. The palette contains four neutral shades that compliment each other very well. The Champagne shade is shimmering pearl finish. It is a multipurpose shade that can be used all over the lid, on the brow bone, or to brighten the inner corners of the eyes. The Tan shade is a matte/satin finish and is very creamy. The shade is very similar to my skin tone and makes for an amazing crease/transition shade! 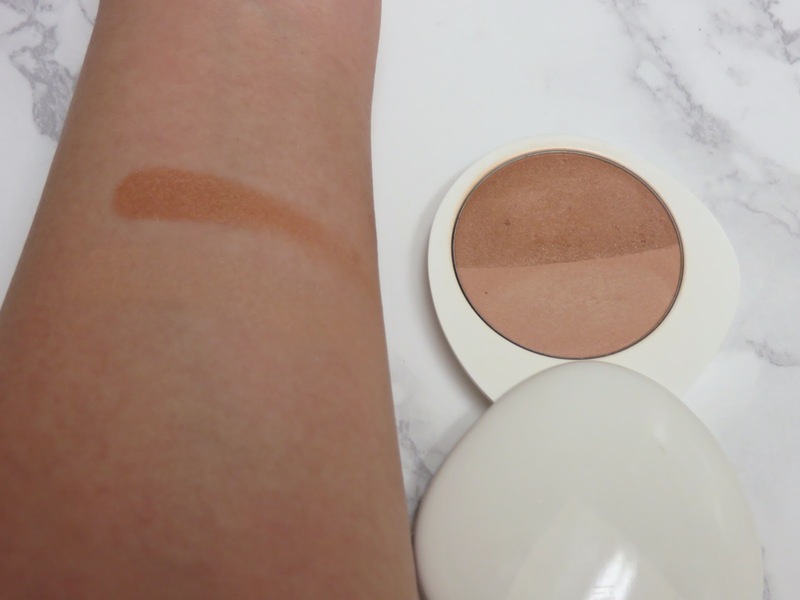 Although it doesn't show up well swatched on my arm, it works very well on my eyes. The texture is a but powdery but it doesn't lack in pigment. I love the softness and blendability of this shadow. The Bronze shade is a subtly rosy bronze shade. The shimmering pearl finish is similar to the Champagne shade but a bit more intense. The shade is so stunning and flattering for all skin tones. It is one of my new favorite bronze shades. It illuminates the eyes without being overly metallic or sparkly. The Brown shade is a deep cool-toned brown. It has a satin finish and the pigment can be built up to be more intense. I really enjoy the buildability of the pigment because it makes this darker shade easier to use. I like to use it in the crease for more definition, on the outer corner for a smokey effect, or as an eyeliner. Its a very versatile shade but like the Tan shade it kicks up some powder. I really love this quad for everyday use. The texture of the shadows makes it very easy to use and the shades are so neutral they will go with any other products. Just be aware that there will be a bit of fallout but nothing out of the norm for an eye shadow. This is a palette I reach for often because it requires so little effort and I get a beautiful result every time! The Bronzed Beauty Bronzer Duo retails for $42.00 USD and is available the Lilah B. Website, Barneys, Net-A-Porter, SpaceNK, and other retailers. This bronzer duo is only offered in one shade and contains a light and a darker side for customization. The darker side is a shimmering coppery bronze while the lighter side is a satin neutral bronze shade (it's pretty much my skin ton because you really cam't see the swatch). 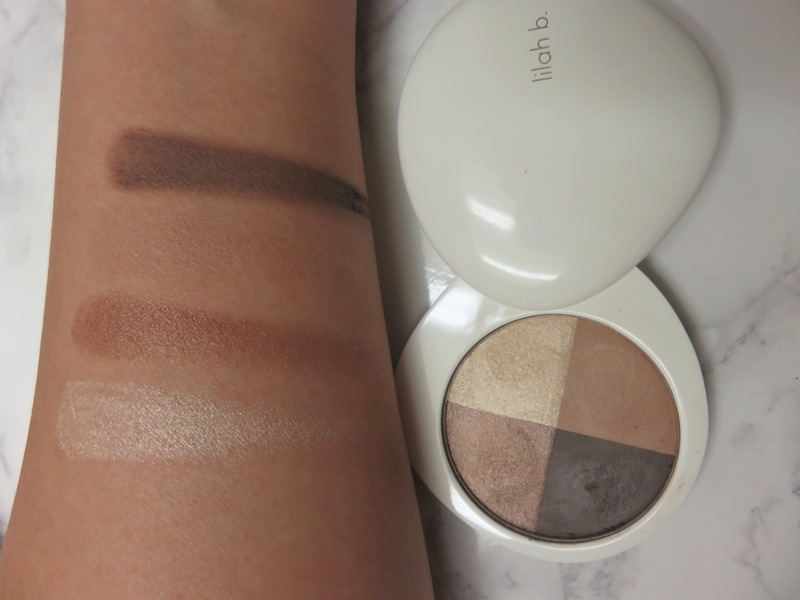 Mixed together you can achieve a very warm soft shimmering bronzer for all over the face. I would recommend using this for bronzing and not for defining the face because it does run quite warm. I do love the natural warmth it gives to my face but the copper shimmer can be a bit much if you over do it. The Divine Duo in b.dazzling retails for $46.00 USD and is available the Lilah B. Website, Barneys, Net-A-Porter, SpaceNK, and other retailers. The Divine Duos are a versatile lip and cheek product. The b.dazzling shade is a sheer champagne shimmer shade that can be used as cheek highlighter or as a lip color. 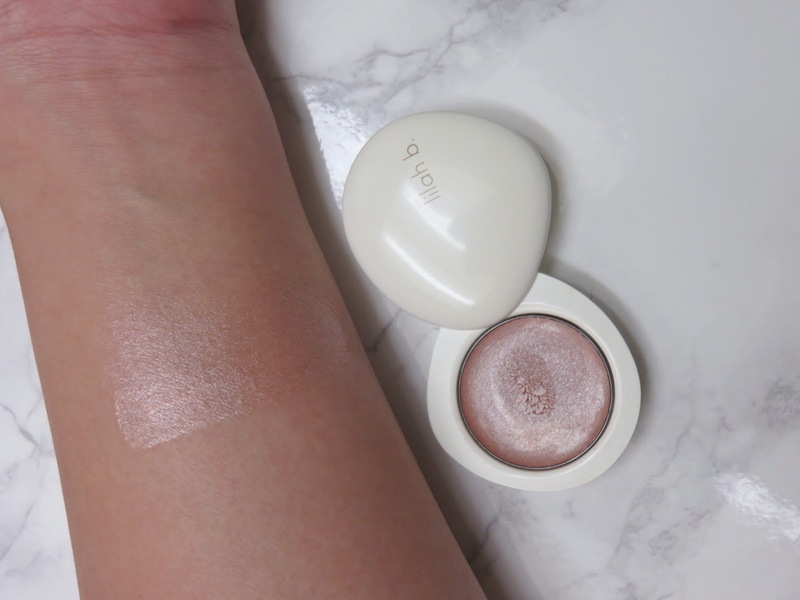 This shade is very sheer and creates a very lovely natural glow on the cheeks. It is slightly glossy but doesn't feel at all sticky! On the lips, it feels very smooth and balmy. It doesn't offer any color but a pretty sheen to the lips. This is great for layering with other lip products or stains. I'm very impressed by this formula because it does work very well for both lips and cheeks. Often duo products fail at working well for either cheeks or lips but this one is very well formulated! 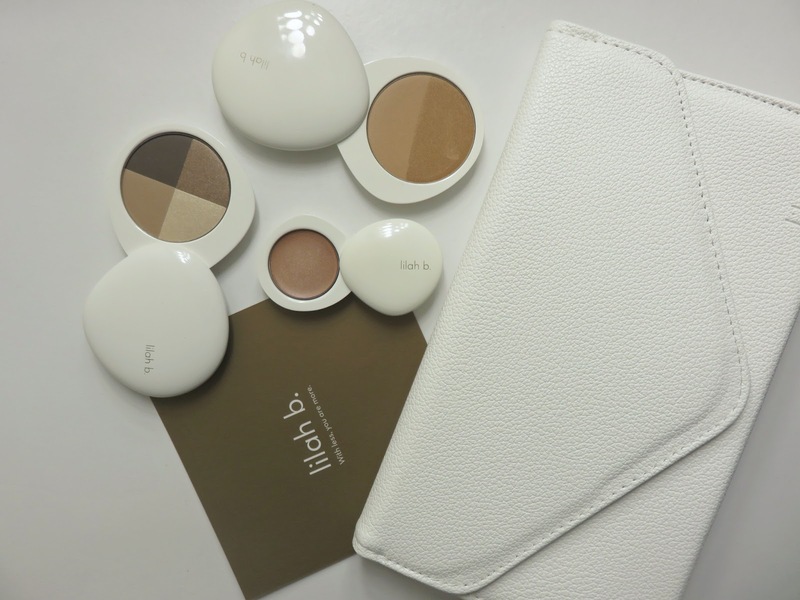 Overall, I really love the Lilah B. line! Their stunning and luxurious packaging paired with their high quality ingredients and formulations really impressed me. I had wanted to try the line for some time now and I'm so glad I had the opportunity to do so. It has peaked my curiosity about the other products in the line and I plan on trying a couple more. I feel the packaging alone, is worth the price of these products. I highly recommend the brand, especially for you busy ladies, it will make your morning routine significantly easier.